Jockey Martin Pedroza has been suspended for 15 days and fined $500, a result of his physical altercation with a jockey's room valet on Dec. 29 at Santa Anita Park. 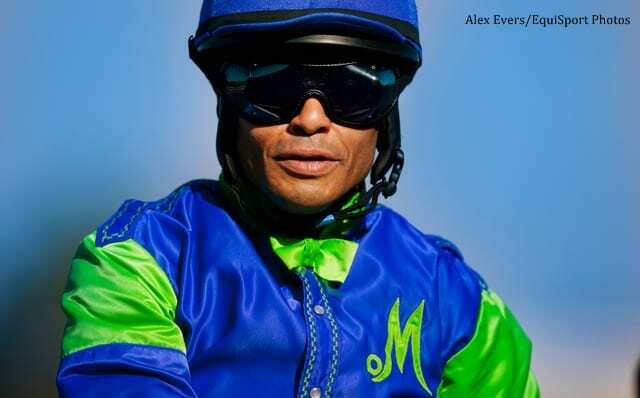 The valet, Maximo Corrales, and Pedroza had a disagreement, reports bloodhorse.com, and Pedroza requested that Corrales no longer saddle his horses before the races. The blow to the head reportedly “knocked out” Corrales. The valet and licensed exercise rider has been prohibited from serving as a valet for the next year, though he will still be allowed to work horses in the mornings. This entry was posted in NL List, People and tagged grant baker, jockey fight, jockey suspension, Martin Pedroza, maximo corrales, santa anita, santa anita park, valet by Paulick Report Staff. Bookmark the permalink.